Every default blogger Theme has an attribution termed "powered by blogger" but not every blog owner likes to see that on his or her blog although it is important to give credit to the bloggers platform. Many bloggers especially new ones in the business find it very difficult to remove that attribute because at default it is not easily removable. It is locked and can't be edited easily by newbies but i will help you get out of that limitation by providing a simple script you should apply on your HTML to remove this credit. I will be brief in this tutorial because it doesn't require much but the result is fulfilling. As a new blogger, you might find it cool but as time goes on, you start thinking it's unprofessional and decide to remove it by any means. As i said earlier, the Attribution widget is disabled by default but i will show you how to remove it with just a script. Before you start editing anything on your blogger template, make sure you have created a backup of your current theme so that you can easily restore it back if you mess around in the process. Then preview your blog by clicking the "preview template" up there. Then save and check your blog. The "Powered By Blogger Attribution is gone. I hope this guide is useful to you. If you are still having difficulties, kindly use the comments box below for your questions and i will provide my support. Also feel free to share this with your friends using the share buttons. Keep blogging!!! Wow!its a wonderful post that you are giving to us.I am really happy to inform you that its a very nice post and you are explaining it in a very understanding form.Thank you very for your great work.Custom essay writing service is the better service that helps students for their academic course while producing the content by evaluating the grammar,structure and plagiarism. Hi I really appreciate all the great content you have here.Asus Zenfone 2 4GB RAM in Dubai I am glad I cam across it! "Something wonderful, something great. All my disarray He caught on. All I brought to the table Him was brokenness and strife. In any case, He made something excellent of my life." Yes! Jesus can make something lovely of my life! Make something close? I had trouble with it for a while, I have not had time to fix it. Now I have found your blog in a detailed guide, thank you. I love blogging. Do not forget to visit my blog when you're free, there is plenty of useful information for you. Thanks! This trick is really awesome with simple line of code I able to remove powered by blogger. Thanks for sharing keep it up and also read: How To Get Adsense Approval In First Attempt. Greetings Hey there Hey Good day Howdy Hi there Hello there Hi Hello I am so grateful glad excited happy thrilled delighted I found your blog page webpage site web site website weblog blog], I really found you by error mistake accident], while I was researching browsing searching looking on Digg Askjeeve Aol Bing Google Yahoo for something else, Nonetheless Regardless Anyhow Anyways I am here now and would just like to say thanks a lot kudos cheers thank you many thanks thanks for a fantastic marvelous remarkable incredible tremendous post and a all round exciting thrilling interesting enjoyable entertaining blog (I also love the theme/design), I don't have time to read through browse look over go through read it all at the minute moment but I have book-marked saved bookmarked it and also added in included added your RSS feeds, so when I have time I will be back to read a great deal more a lot more much more more], Please do keep up the awesome superb fantastic excellent great job work]. On the off chance that you are wanting to purchase a cell phone yet have a little spending plan in your tight pocket, then you might need to get an utilized cell phone rather than another one. In any case, purchasing an utilized cell phone can be somewhat precarious in the event that you don't have any experience at about this "field". You dcitltdcan't simply go up there to the cell phone store and make an irregular buy without checking the entire state of that telephone completely. Thanks for your business system.I like it.I have a furniture business please add my website in your blog..
Great work by you, i like your post that you wrote it's all about disable powered by blogger attribution. Find professional and specialized Custom Writing service on 4students. Thanks for the useful tips with us..
You can use "div position absolute" or just visit this page to find even more good ways for this purpose. We consider writing as integral academic element that we need to improve all the time. Our writing specialists have to take tests to prove their writing, analytical abilities as well as their English language level, have a glimpse at this hyperlink to find more information! In a case you are doing an internship to earn some work experience or you are a full-time student, you can apply to our educational company and get the assistance, like writing a paper, essay, dissertation. Writing service can help with different assignment. Look online essay writing service to find more! 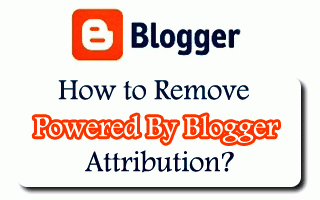 I never knew that it was such a simple method to remove powered by blogger attribution gadget, but after reading this post i realized that lack of information at times makes things very hard. You have used a very simple and direct language, am sure that many people that visit your post shall get informed without struggling to get the message.